Kelly Comras tells the story of Shellhorn’s life and career before focusing on twelve projects that explore her approach to design and aesthetic philosophy in greater detail. 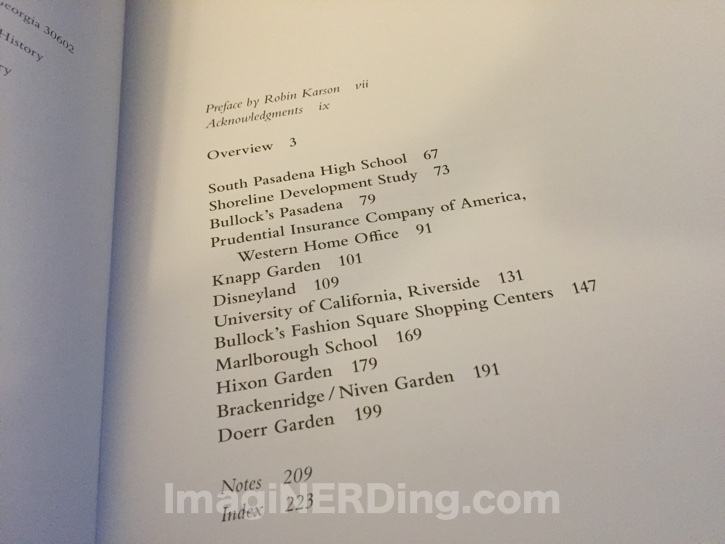 The book’s project studies include designs for Bullock’s department stores and Fashion Square shopping centers; school campuses, including a multiyear master plan for the University of California at Riverside; a major Los Angeles County coastal planning project; the western headquarters for Prudential Insurance; residential estates and gardens; and her collaboration on the original plan for Disneyland. So, the reference about Ruth Shellhorn working on Disnelyand certainly caught my attention and I requested a review copy. After reading the exhaustive book on Kem Weber (episode 219 of Communicore Weekly—remember, he was the architect responsible for designing the Disney Studios in Burbank), I wasn’t sure what to expect with another academic work. Especially with a person that only had one project associated with Disney, like Weber. 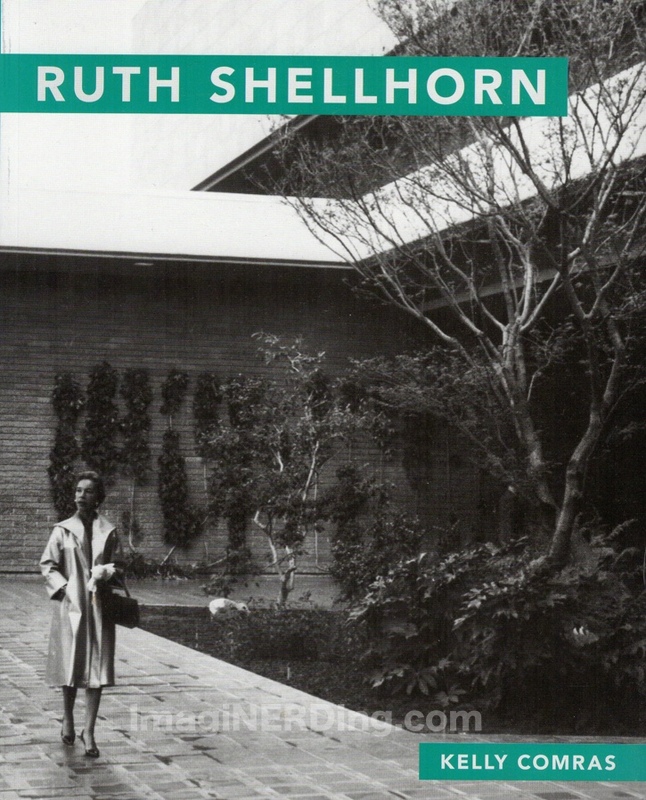 With the Ruth Shellhorn book, I was hooked from the first chapter. Comras style is very easy and flows very well. She never goes overboard with technical terms and never gets too jargon-y. There were a lot of black and white photos and landscape drawings representing each project. Although, I wish the plans were reprinted slightly larger. It’s a fascinating look at a woman who blazed a trail in landscape architecture at a time when it was a male dominated field and the country was in the midst of the great depression. Shellhorn received a lot of accolades from her peers and from professional associations. Comras does spend some time interpreting the designs and placing them into their historical and cultural perspectives. The section on Disneyland is fascinating. It’s reason enough to purchase the Ruth Shellhorn book, especially for Disney fans and researchers. The chapter is about 20 pages and includes landscape drawings for most of the park. You get to read how Shellhorn really helped Walt humanize the landscaping. She procured the types of flowers and plants that Walt wanted. He said he always wanted a warm and welcoming feel, so she found plants that would offer that year-round. Also, anyone enamored with Southern California landscaping, or has been in one of the Bullock’s department stores will love this book. There are so many projects that she worked on that are still around today. I think it would be really fun to explore her landscapes, especially 30-50 years later. Comras should be commended for creating a work that is not only accessible but will offer students much inspiration. Did you know about Ruth Shellhorn’s connection to Disneyland? Carowinds Food Festival Coming Soon!